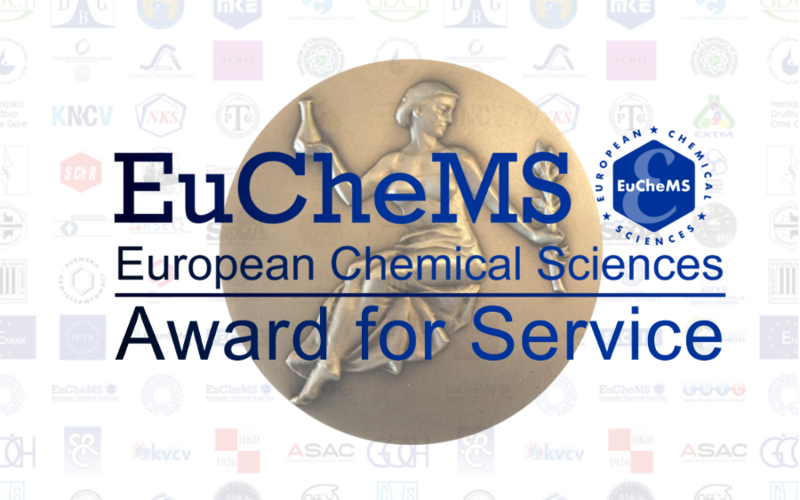 All EuChemS Member Organisations, Divisions/Working Parties and individuals are invited to submit nominations for the 2017 EuChemS Award for Service. This award acknowledges outstanding commitment with regard to fostering chemistry and molecular sciences in Europe and the goals of EuChemS. In addition to recognized service to EuChemS, this may include activities in governmental, non-governmental or funding organizations, publicity-related activities, etc. Nominations must demonstrate achievements for improved competitiveness, visibility, coherence or structure of chemistry in Europe. Submissions can be done at http://www.euchems.eu/awards/award-for-service-new1/ until 15 May 2017.